Are you subscribed to our e-Newsletters?!? Scroll to the footer of our site to sign up! The first day of Summer is right around the corner. 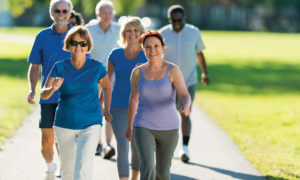 Be on the lookout for article shares on ticks, poison ivy, sun protection, fun summer activities, and more… coming soon! Spring has been quite busy for Healthy Talbot. We started the year off with a bang at EGGStravaganza back in March, which brought out over 5,000 people! 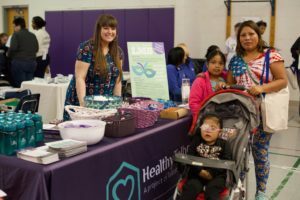 We then sponsored and participated in the 1st Annual Talbot County Resource Day Expo on April 7th at Easton Elementary School (pictured left). 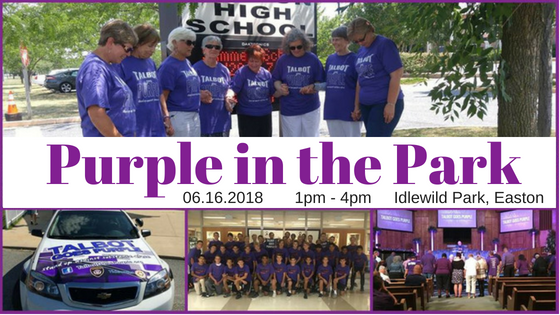 In addition to the 6,000 lbs of groceries donated by Maryland Food Bank that day, free lunches were provided by Eat Sprout, and tons of local partners came together to provide bounds of information, helpful resources, and needed services to the community! 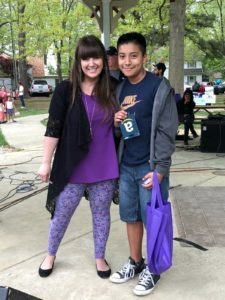 We also participated in BAAM Fest and Oxford Day, which both brought out 500+ attendees, AND thankfully the rain held out enough for us to participate in the 19th Annual Multicultural Festival at Idlewild Park (pictured right with the winner of our $25 Amazon Gift Card Raffle at the event). Shew! Not to mention, we were able to publish our Family Resource Guides and make them available at all of these events! 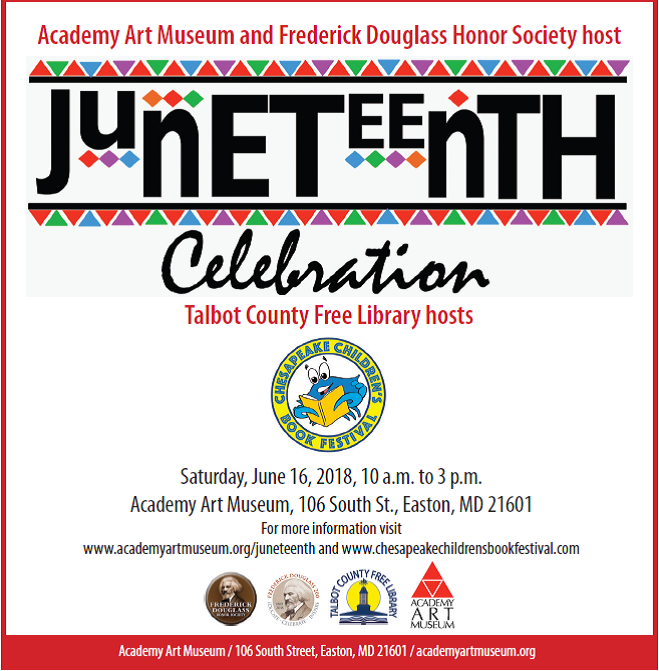 This month, be sure to check us out at Juneteenth and the Chesapeake Children’s Book Festival. Healthy Talbot’s also looking forward to being a first time participant at the Talbot County Fair later this Summer. 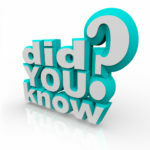 Make sure to check our website often for updates and “Like” us on Facebook. 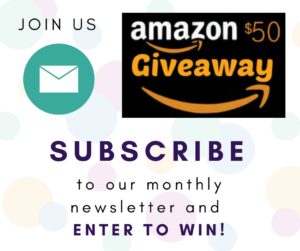 Be sure to check out our pinned post and SHARE our $50 Amazon giveaway where you are entered in just by signing up for this newsletter! 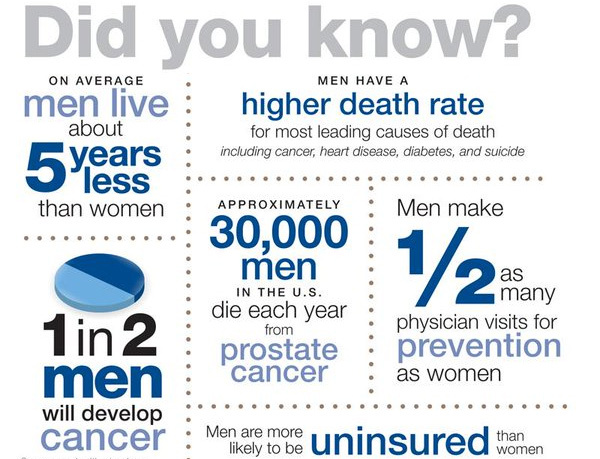 The purpose of Men’s Health Month is to heighten the awareness of preventable health problems and encourage early detection and treatment of disease among men and boys. Men: Want to see these stats change? Schedule a checkup today! Do it for yourself and for those who count on you. 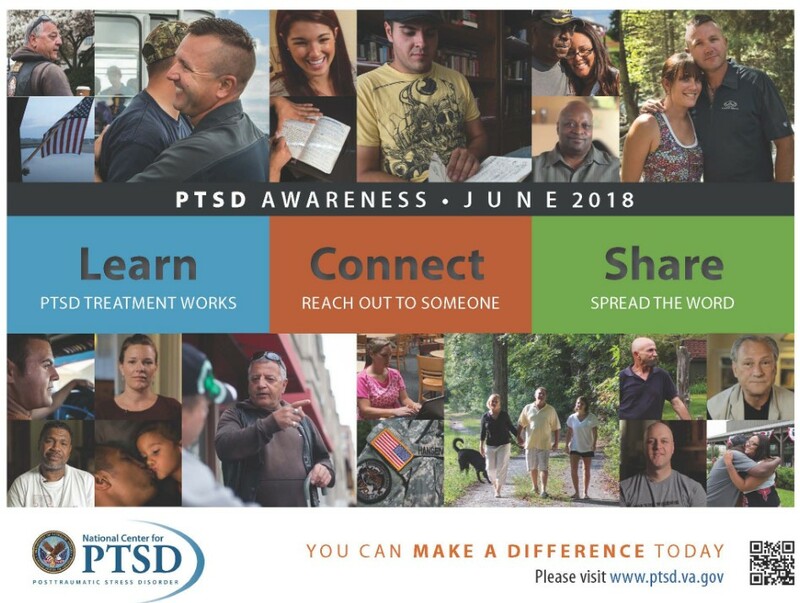 June is not only Men’s Health Month, but also National Safety Month, PTSD Awareness Month, LGBTQ Pride Month, and Alzheimer’s and Brain Awareness Month, among others. 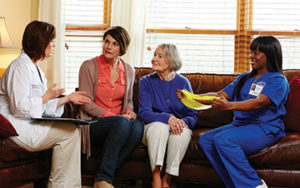 For a full list of awareness campaigns for June, visit: www.healthline.com/health/directory-awareness-months#june. About Healthy Talbot: Healthy Talbot is a project of the Talbot Family Network. We believe that healthy communities are made up of healthy families. As a result, we seek to link local families and individuals to information and resources that can help them lead healthier, happier lives.